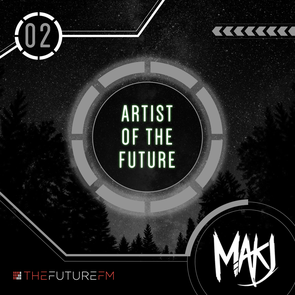 TheFuture.fm, a new platform for streaming DJ mixes and live sets curated by big name DJs, releases MAKJ's ‘Artist of The Future’ mix as the second instalment in the series. Known for its personalised music discovery experience, TheFuture.fm continues to extend its ideals into the dance music realm by highlighting artists who are possibly defining the trends of the future. With several chart-topping tracks, MAKJ has catapulted into the scene with his big-room sound, and he now delivers a diverse mix that features tracks from Showtek, Zedd, and of course, MAKJ himself, among others. Look out for the next instalment in the Artist of TheFuture series coming next month. Check the latest mix below.